At McCully Family Dentistry, we provide dentistry of the highest possible quality in a caring, comfortable environment. We enjoy people and making new friends, and we're dedicated to treating each patient as a member of our family. Yes, our practice welcomes children. Dr. McCully is one of the best at making sure children have a positive, gentle, safe experience while getting exceptional treatment. Dr. George McCully was honored as 2003 Oregon General Dentist of the Year. Trust your smile to the best dentist offering beautiful results and the friendliest staff that makes sure you’re comfortable and relaxed during your visits. 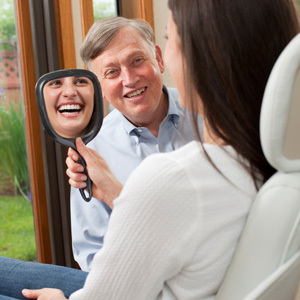 At McCully Family Dentistry in Eugene, Oregon, our practice is committed to helping people keep their natural smile for a lifetime. We recognize each patient has individual needs and strive to meet each patient’s desires. Our goal is to provide treatment that looks great aesthetically, feels good and functions properly, and last a long time. We strive to improve patients’ smiles and self esteem by improving the appearance of their teeth. We enjoy people and making new friends, and we re dedicated to treating each patient as a member of our family. To that end, we will try to see you at your appointed time and do everything within our power to make your visit a positive experience – one you look forward to rather than fear.